Avengers: Infinity War introduced us to Thor’s new weapon, the mighty axe-hammer Stormbreaker. 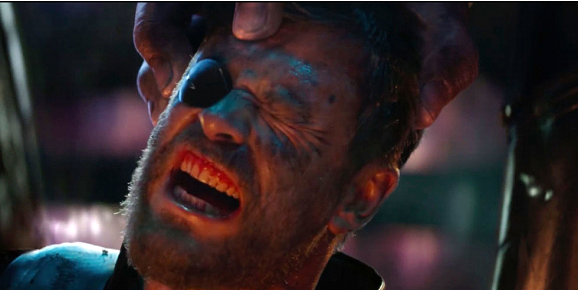 Infinity War could have been Thor’s movie if he did not take the final moment to make Thanos realise of his revenge. But ultimately Thanos sneaked in the big Snap and accomplished his mission which took down half the population of the entire Universe. But right before that scene, we saw Thor coming in with a lethal blow as he threw Strombreaker at Thanos who was attacking him with the power of 6 Infinity Stones all at once, but the Axe actually went past that and hit Thanos right in the chest! If Thanos would not have caused the snap, then he would have totally lost, which may have made Thor the strongest hero in the entire Universe as he would not just be in his prime, but he would have had a weapon that is actually even powerful than 6 Infinity Stones together. Thor was on a quest to re-figure himself yet again. 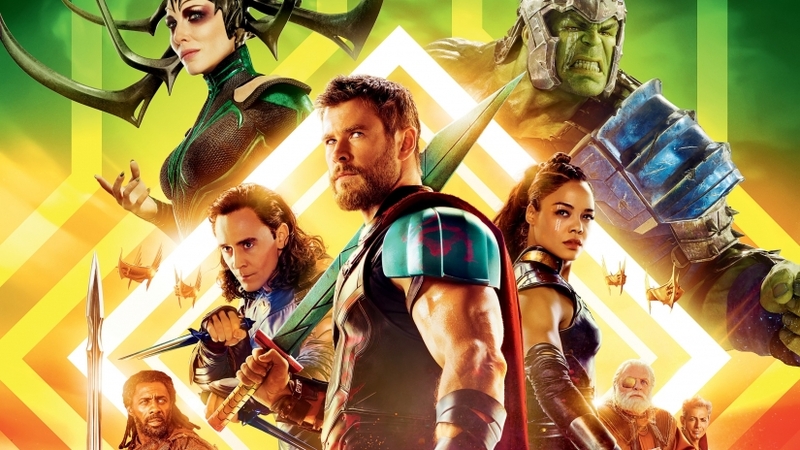 This Quest largely began from Ragnarok, and by the end of the movie, we all thought that everything has been totally figured out with the God of Thunder, but there was much more to it, and Infinity War proved that. 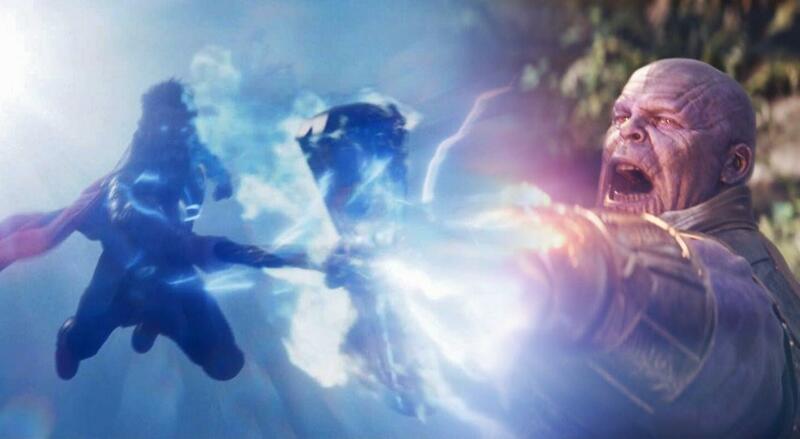 Thanos completely knocked down the God of Thunder even without the use of any Infinity Stones in their first encounter. That is what motivated Thor to actually go and get a new weapon for the sake of the entire Universe (along with his personal revenge factor). When Mjolnir was destroyed by Hela, we got an indicated that Thor might be getting a new weapon in the MCU, everyone speculated that it will be the mythical Jarnbjorn, the legendary battle axe that Thor Odinson currently wields in The Unworthy Thor series. We couldn’t have been more wrong. 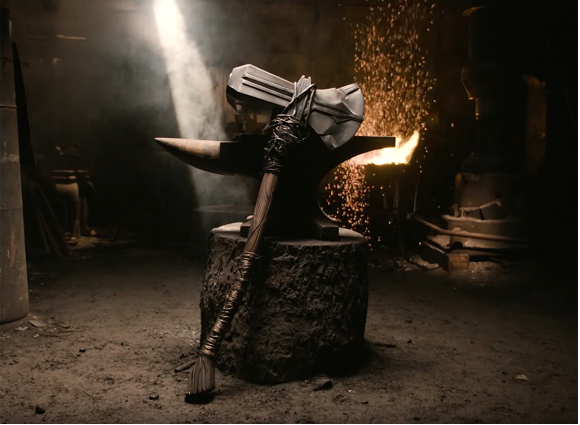 It is not Jarnbjorn the axe that Thor wields in the movie. It is a weapon we never thought Thor would wield in the MCU, but he did. In the comics, the Stormbreaker is the hammer wielded by Beta Ray Bill, an alien warrior who fought Thor to a standstill and earned the Norse God of Thunder’s respect for his sense of honour and glory. To reward him for his bravery, Thor ordered the Dwarves of Nidavellir to forge a hammer similar in strength to Mjolnir which made the entry of Stormbreaker into the Marvel Comics. While the shape of Stormbreaker was pretty much the same for many issues being more of a Hammer / Mallet than an actual axe, but it was changed to a more ax-like shape in one issue when Beta Ray Bill gained the Power Cosmic. In the movie, the shape of the hammer is just like that but it shares nothing but a name with its comic book counterpart. Stormbreaker in the comics is not as powerful as we saw in the film. 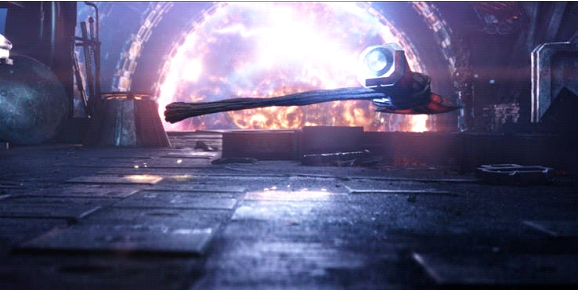 As mentioned above, Thor ordered for a weapon similar to the strength of Mjolnir, but in Infinity War, we saw that the axe actually had more abilities than the comics as it can channel Thor’s lightning energy much more efficiently and has a wider area of devastation than Mjolnir ever could. 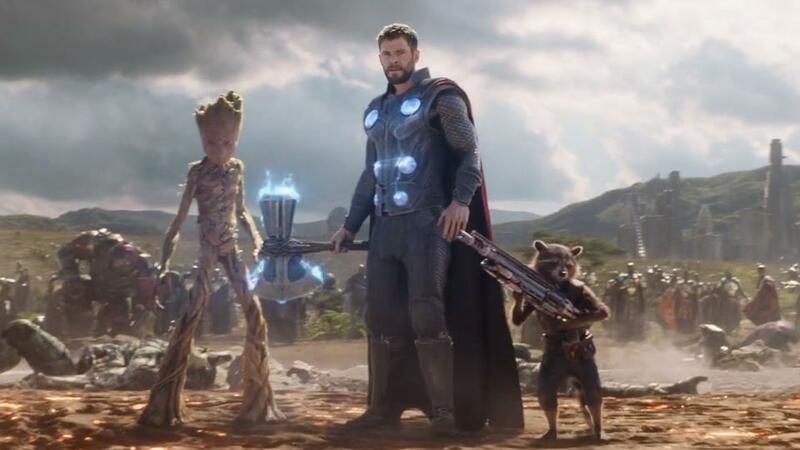 Also, one major power which has been added to the hammer is its ability to summon the Bi-Frost and teleport Thor and his allies to a place of his choice. It conveniently helped the plot but it is also cool to know that Thor now has an insanely strong teleportation device! The Stormbreaker may not be the same as Jarnbjorn, the inspiration for the Russos in Infinity War but they are similar as they were forged with the purpose of killing cosmic threats. Another similarity that we clearly saw in the movie was that they can resist even the most devastating energy-based attacks which actually allowed Stormbreaker to not just resist, but pierce right through the power of all 6 Infinity Stones together. Just because of that, the Stormbreaker in MCU becomes the most powerful weapon stronger than anything else we have ever seen. With Thor at his prime and the likes of Captain Marvel being there to assist, Thanos is literally screwed in Avengers 4!